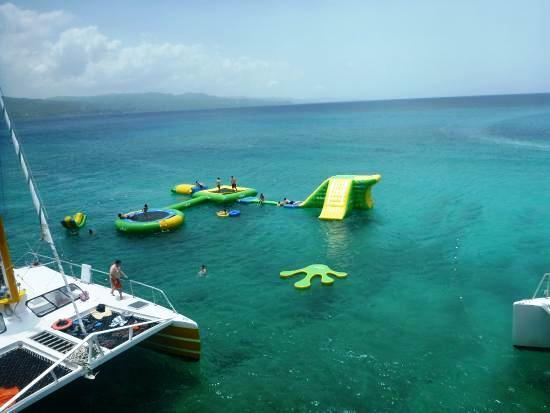 Set sail into the warm turquoise waters of Montego Bay's coastline aboard a sleek sailing catamaran. 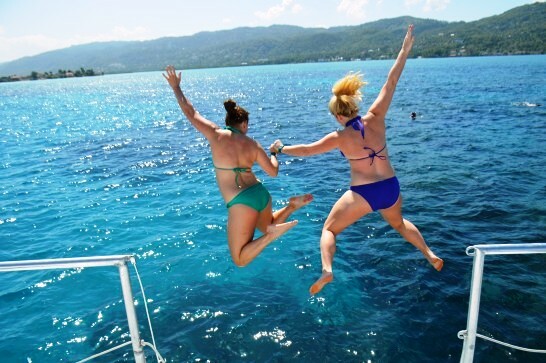 Jump in and discover colorful marine life along the coral reef of Montego Bay Marine Park or catch some rays on deck with a cool cocktail in hand. 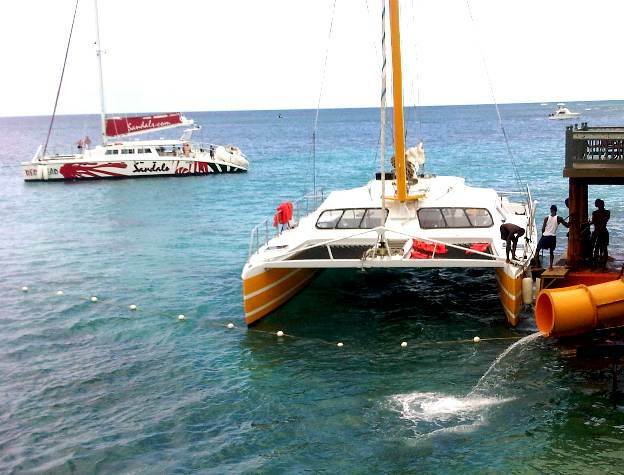 After snorkeling, enjoy an amazing variety of drinks at the Jamaican open bar aboard the catamaran. We continue sailing to Margaritaville to explore the trampoline, water slide or do a little shopping. heading back to Montego Bay, enjoy spectacular views and take a dance lesson from the crew as the party starts! • Children age 3-11 are only allowed on the morning family cruise. Afternoon cruise are reserved for adults only! • In case of rough seas and certain weather conditions, stopping at Margaritaville will not be possible. A day well spent!! The staff was great and they kept the drinks flowing from start to finish! We absolutely LOVED our Catamaran trip. Staff and drinks were fabulous and the snorkeling was life changing, absolutely beautiful!!! Thank you so much for such an incredible day!!! Our overall experience was positive.The actual ride and associated bus trip was awesome. Captain and crew provide a fantastic time!! We swam, we snorkeled, we danced and we had a fantastic time!! Wonderful catamaran, awesome people, and music... We had a great time! What a fantastic day!!! The staff is what makes the cruise so fun!!! The drinks are so good! And you get take in the nice views while listening to good music.